Edged Guard is a sneaker that uses traditional leather working techniques and combines a uniquely designed 3D-printed out sole. 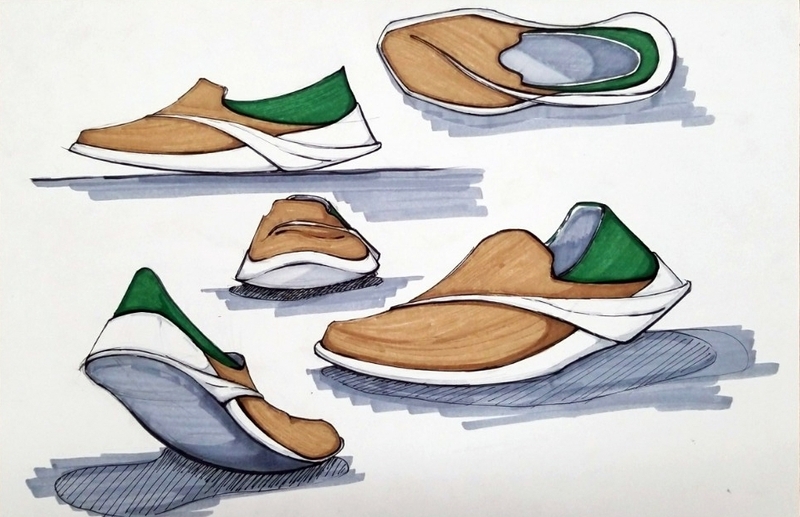 The Edged tip that wraps around the shoe adds support for wide footed users along with an aesthetic gestural element. Traditional dress shoes are uncomfortable for wide footed users, and the leather will stretch over traditional out soles. 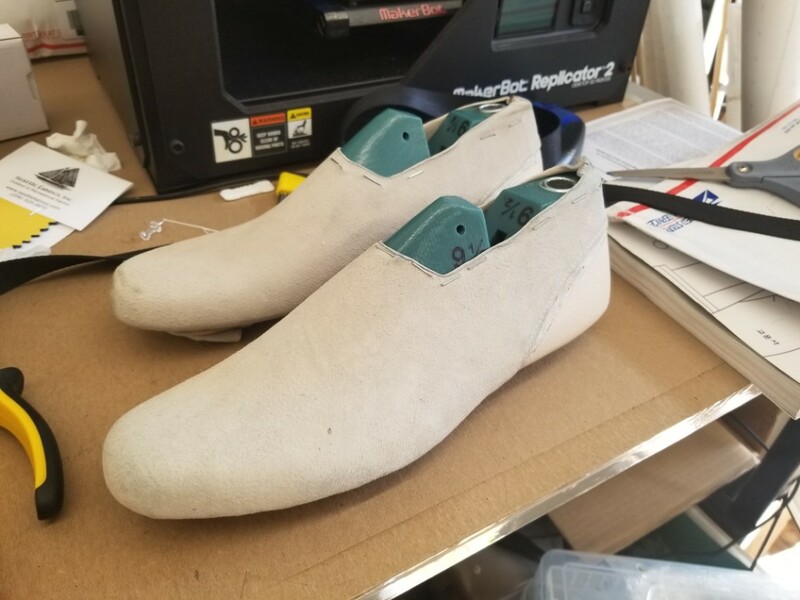 Edged Guard is a sneaker that implements computer generated designs to provide support for the foot, but still maintain a clean, simple, and elegant aesthetic. Leather sole and heal counter are soaked in warm water, and stretched over the shoe last. The Leather is stapled into place until it is dry. Excess leather is skived off. Once dry, the staples, and leather are removed. The leather is now formed into the shape of the last. Lining is sewn together and stretched over the last. The outer leather is stretched over the lining, and the heal counter. Everything is adhered together as the leather is stretched. 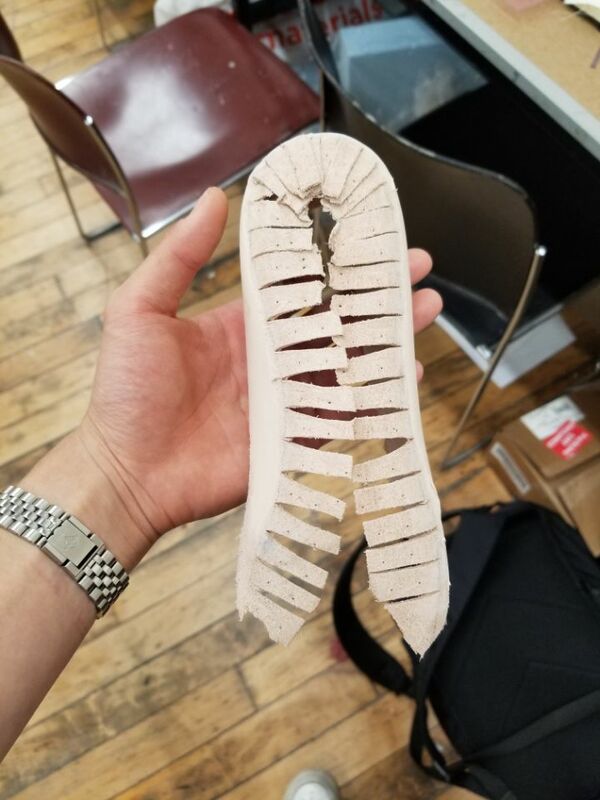 This is in an early 3D-print of the out soles. However, it was found to be too thick and had to be resized. 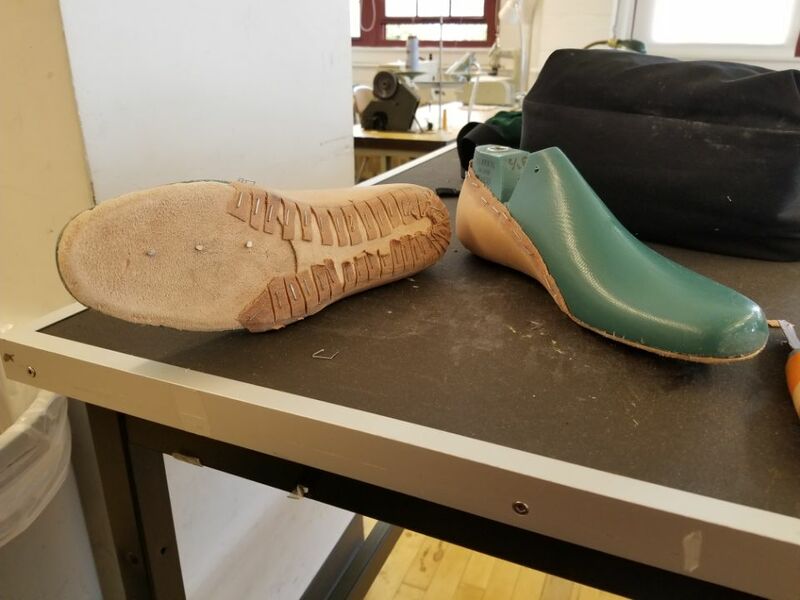 The out sole was redesigned, and printed. The last is placed onto the out sole to check fit and size.